Ok, so I have a rift was working really good until I'm in the game. Then it starts to jump around, then it settles down again, then 10 to 15 min in does it again. I'm posting Logs because I can't seem to find out a way to get this under control. 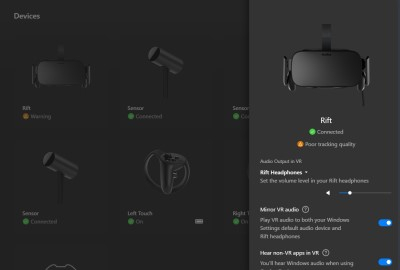 I love my rift and want this to work as it had 6 months ago. Seems like every time you guys put out an update it screws it up. I do have a startech USB 3.0 expansion slot and have XMP enabled on my pc, not sure if that's it, but I'm running out of options to try. Please help. I have attached a couple of screenshots to show you what is connected, not sure if it will help or not but I thought it would be useful. Hope you guys can help me out on what to do next? I can't look at logs right now, but I can start giving you ideas as to what might be causing it! Do you have any anti-virus scanners or programs that run at 10-15 min intervals? My old antivirus did the same thing: it would scan things in the background, and while that was ok for normal PC use, it took up CPU cycles during VR causing jumps and stutters. The Startech card shouldn't be an issue, UNLESS your PCI-E lane access to the Startech card is interfering with access to other add-on cards or your SATA connections. What other add-on cards/devices are you using while this issue is happening? Also, how do you have everything plugged in? Are your sensors plugged into the Startech card? 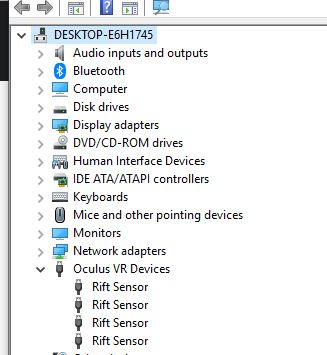 Anyways, what I would try to do first is try to disconnect all unnecessary devices for VR, then plug your HMD and sensors into only your Mobo USB's and see if the problem still occurs. If you're savvy enough, I'd also try to disconnect your Startech card for this attempt; i.e. start from your most basic build and see if it still happens, then we'll have a better idea of what it could be. Also, try disabling any "software enhancement" applications, like Samsung magician's "Rapid Mode" if you have that going. ok, so I uninstalled Samsung magician, uninstalled firestorm overclocking software for 2080ti, didn't want to, but it seemed to help a little, now I'm getting some lag, not much as before so we must be on the right track. Still goes into bad tracking, and I'm thinking that's the tpcast software or the junk router that they gave with it. Either way baby steps to get this working. I also thought about unplugging two USB plugs to the Asus 7.1 headset, since I'm going to be in VR anyways, that's two USB plugs not plugged in, might help that too. TPCast!!!! That's one of the first things you should remove from your setup and test to see if there's a difference. Regardless as to what people say, wireless interference is a common thing and there are so many factors as to what can cause it. (e.g. 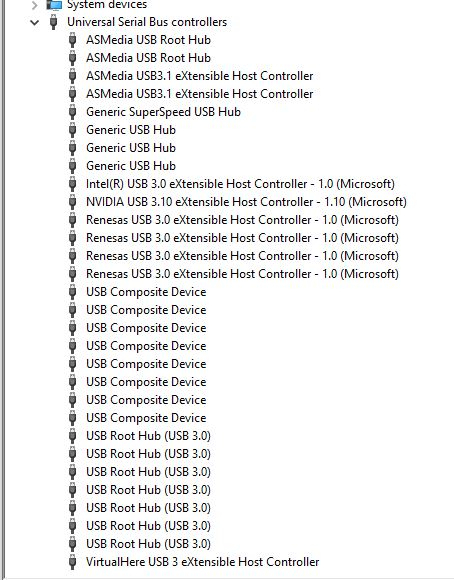 USB 3.0 ports that are actively powered/being used can cut the 2.4 GHz band in its vicinity). Yes, get as close to "stock" as you can with your setup and go from there. Unplug those headphones, because you never know if they're the ones that are running some weird check every 10-15 mins to see if sound is coming though. Sometimes sound cards/devices can do background processing even though no audio is coming through them. I recently removed my soundcard because not only was I not using it (usb headphones, just like you), but the software was causing so many system interrupts; it was my No.1 source of system interrupts when running logging software. Glad to hear things are going in the right direction though! Any ideas on the logs I posted, still jerking, and stuttering. And now I can't get the HDMI to connect. Also, when this is happening, check your task manager. 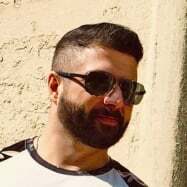 I have seen people who are infected with a cryptomining malware that reported extreme slow down in game. Basically the malware kicks in thinking you are idle and starts stealing CPU cycles. The biggest known offender is mint.exe.